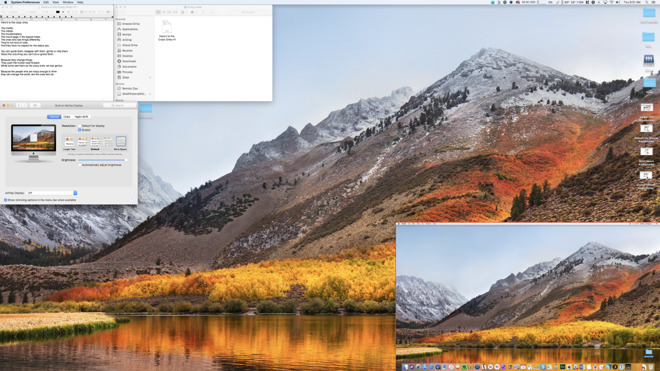 If you're just diving into external monitors, the vast array of options and resolution spread before you can be enough to make you give up and buy an iMac just so that your monitor choice is made for you. 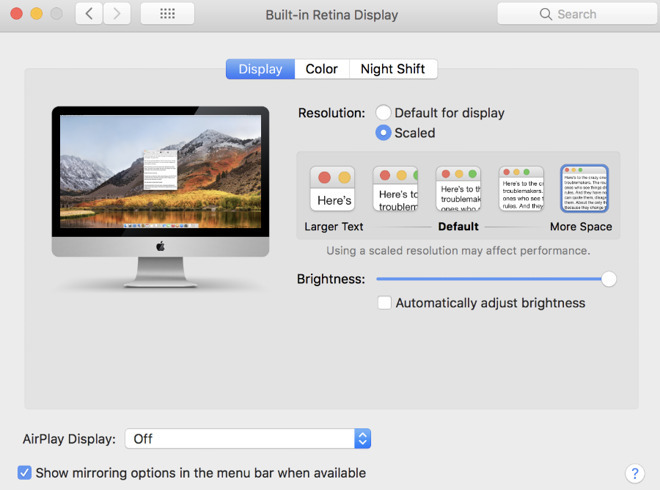 AppleInsider talks about the three biggest and most important factors for a daily-use monitor for general use —screen size, resolution, and scaling. As a general rule, the average consumer cannot pick a monitor off Amazon and know that it's going to be perfect for him or her. It isn't possible. You can tell what the physical size is going to be —though we all tend to underestimate how big something will be once it's on our desk —and you're rock solid clear about the price. 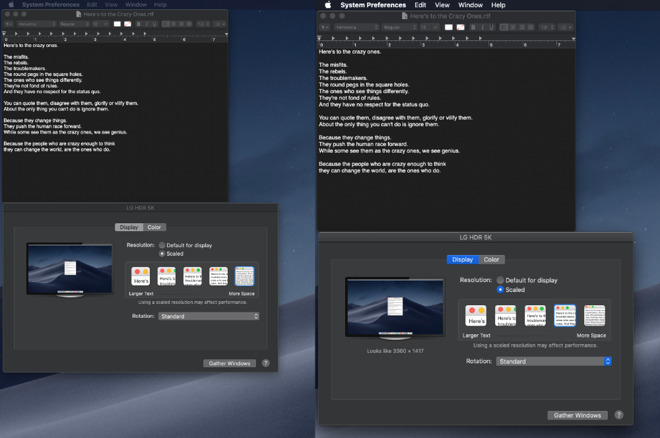 Much of the time, that's going to be because you simply can't read the display when it's at maximum resolution —but often it's also because your Mac can't handle it either. What you can do, though, is go in armed with information, and know what to look for. Go in to searching any store or site's monitors and know what the problems are, know where you need to spend time comparing —and knowing what you really have to compare. A note before we go much further. This article doesn't delve into color spaces, and calibration options on any given monitor —this piece is intended as a primer for the beginner monitor purchaser. Calibration and similar are topics for another day. In which case a monitor that displays more than you can usefully use is definitely a waste —except that there is this scaling. 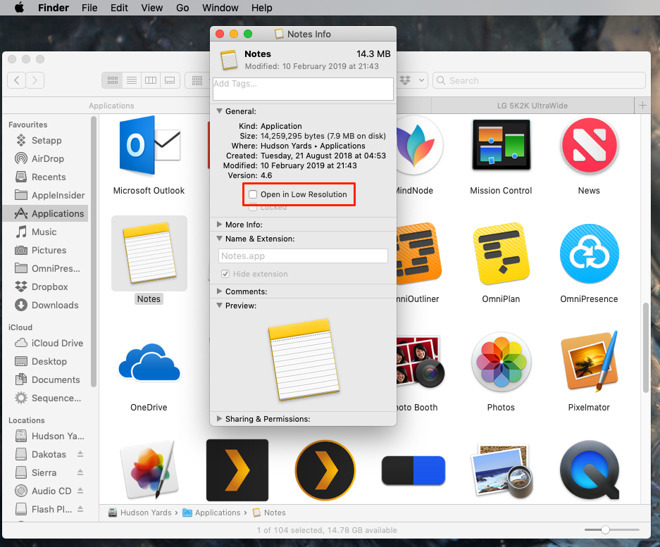 Apple does work to make this as easy to figure out as possible —but only once you've realised you need it. We've seen people squinting at their MacBook screens, unaware that with a click or two they could be saving an opticians' bill. 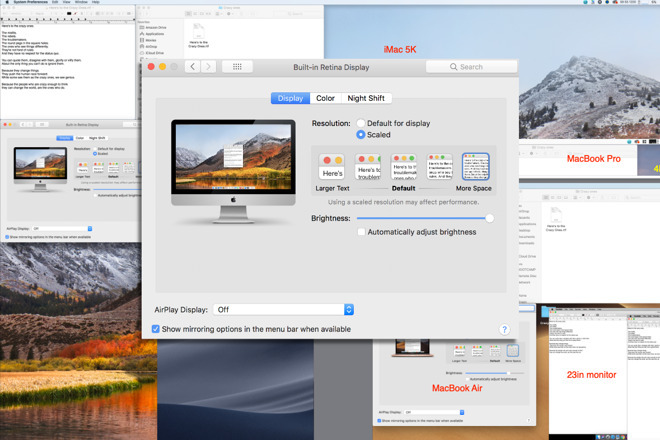 Regardless of your size or resolution of monitor, you can go to System Preferences, Displays and chose Resolution: Scaled. 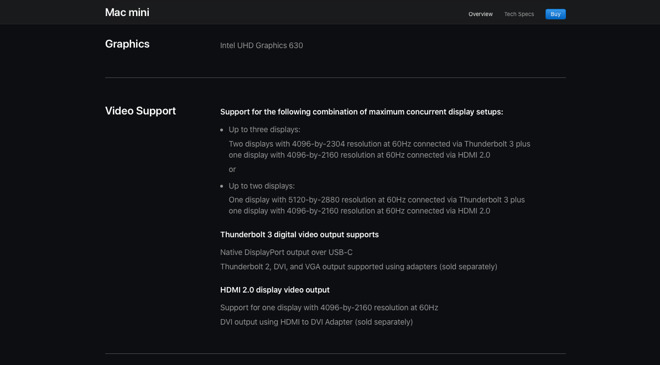 Below a certain resolution, typically 4K, you'll see a list of which resolutions the monitor can handle - probably. In that case you would pick from the list and examine how each one looked —but that try-and-see approach is hopefully behind us all now because we won't buy a monitor under 4K.